Keep the mountains close to your heart in the men's Burton Mountain Pullover Hoodie. It's made of a soft fabric that's a blend of cotton and polyester fleece. 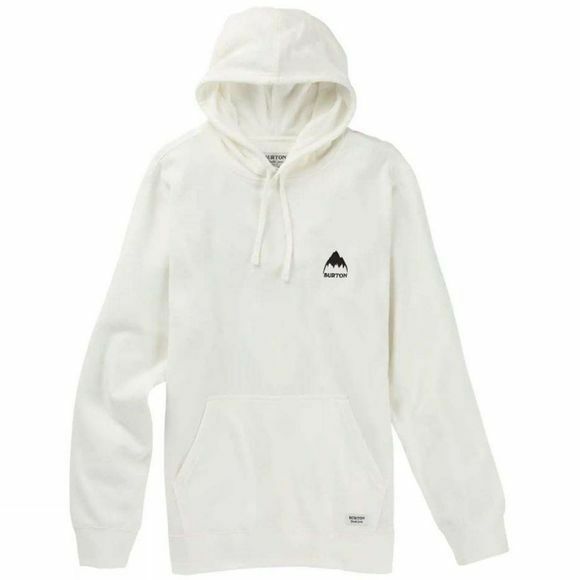 This hoodie has a front kangaroo hand warmer pocket, a drawcord hood, and an embroidered Burton graphic on the chest.